I’ve never met Asher Vollmer, developer of Threes! and the upcoming Close Castles, but I know we’d be friends: “Let’s face it: RTSes are miserable pain engines designed to give players the worst possible experience,” he writes in a blog post on Sony’s PlayStation.Blog. Having conquered addictive math in Threes!, Vollmer wants to take on strategy with his newest game, which is now heading to PlayStation 4, set to be playable at this weekend’s PlayStation Experience. “The premise of Close Castles is simple,” Vollmer writes. “You and your greatest rival have built your castles WAY too close to each other. Your job is to build up your kingdom (despite the cramped quarters) while simultaneously sending out your loyal citizens to tear down the enemy’s vulnerable castle.” He says the game will only take a few minutes on the fastest setting. 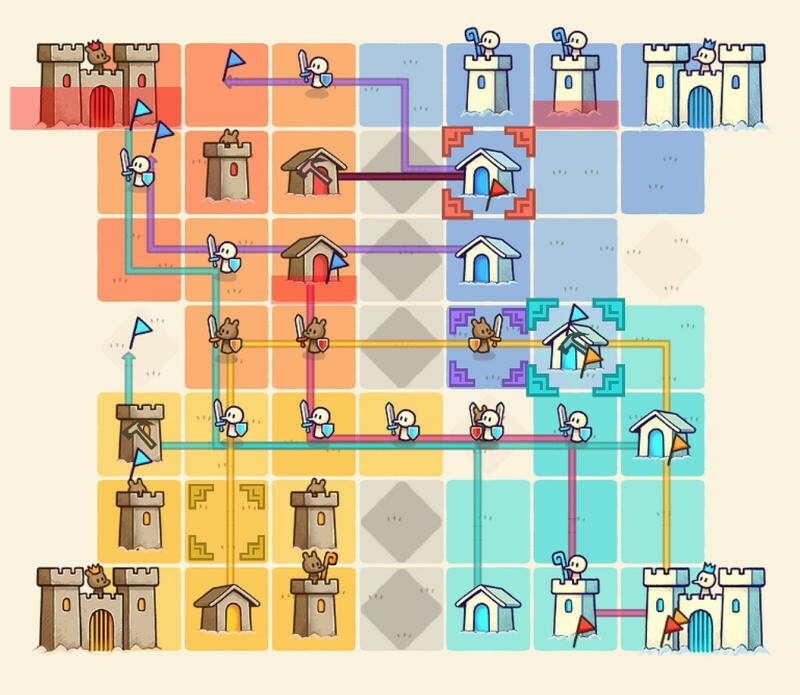 He’s going for a minimalist take on strategy games, rather than the complex interface we usually see. The game appears to have been built with consoles in mind, as he states that building the game for a controller inspired him to make the controls as simple as possible. Each of the previews on the Close Castles twitter depicts controller movement as well. This is hardly surprising after Vollmer’s experience with Threes! on the iOS app store – he’s unlikely to see the same problem with dozens of clones on consoles. 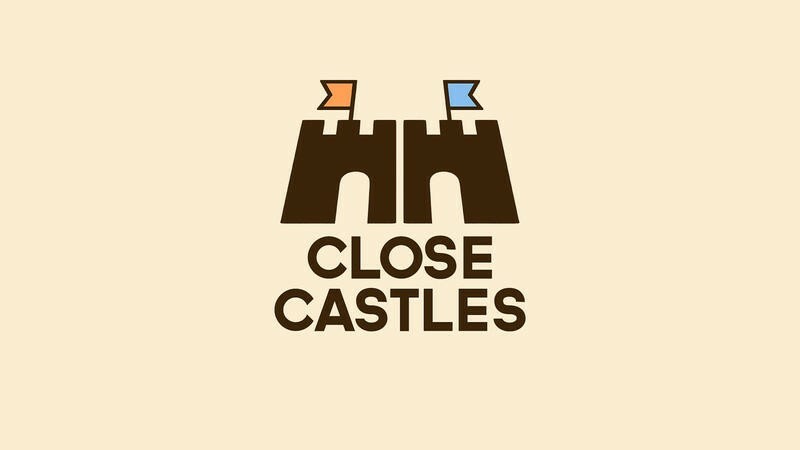 Close Castles is heading to consoles – though we don’t yet know which, aside from PlayStation 4 – in 2015.